Full casting has been announced for One Love: The Bob Marley Musical (see listing) which premieres at Birmingham Repertory Theatre in March. Set across a dramatic period in the music legend's life, this new production written and directed by Kwame Kwei-Armah, tells the story of a man propelled from rising reggae star to global icon. With unprecedented access to the entire Bob Marley catalogue, the musical features Marley’s greatest songs performed live by the cast. Mitchell Brunings will make his UK stage debut as Bob Marley alongside Alexia Khadime (read interview) who will play Rita Marley. 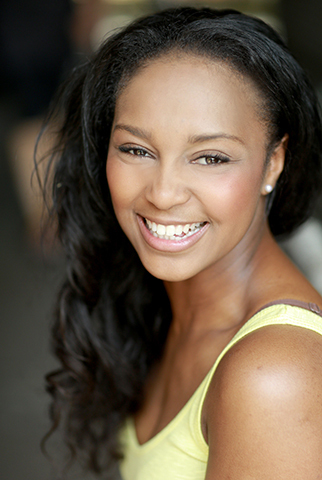 Alexia’s major West End roles include Nabulungi in The Book of Mormon (for which she won the 2014 What’s On Stage Award for Best Supporting Actress in a Musical), Eponine in Les Misérables, Elphaba in Wicked and Nala in The Lion King. Most recently she played the lead in Hackney Empire’s 2016 pantomime Sleeping Beauty. Her screen roles include London Road and Les Misérables. Eric Kofi Abrefa (Labyrinth and Wildefire, Hampstead Theatre; The Glass Menagerie, Headlong; Humans, Channel 4) will play Bob’s closest friend, Pablo. Cat Simmons (Sweet Charity, Manchester Royal Exchange; Jane Wenham: The Witch of Walkern, Out of Joint; Oliver!, National Tour) will play Bob’s lover, Cindy Breakspeare. Newtion Matthews (The Frontline, Shakespeare’s Globe; Dancing in the Streets, UK Tour) will play Bunny Wailer alongside Jacade Simpson (The Book of Mormon and The Scottsboro Boys, West End) who will play Peter Tosh. Adrian Irvine (King Lear and Romeo and Juliet, National Theatre) will play Jamaican Prime Minister, Michael Manley while Simeon Truby (War Horse, National Theatre international tour) will play Leader of the Opposition, Edward Seaga. Ricardo Coke-Thomas (The Book of Mormon and Shrek the Musical, West End; Ma Rainey’s Black Bottom, National Theatre) will play Tony Welsh. Birmingham-born Thomas Vernal, a recent graduate from The Arden School of Theatre, will play Claudie Massop. Delroy Brown, also from Birmingham, (King David: Man of Blood, Mercury Theatre Colchester; The Harder They Come, Theatre Royal Stratford East; Scott and Bailey, ITV) will play Bob’s manager, Don Taylor. Alex Robertson (Tomorrow I Was Always a Lion, Belarus Free Theatre; The Seagull, Regent’s Park Open Air Theatre) will play Chris Blackwell. Natey Jones (Doctor Faustus, Don Quixote and The Alchemist, all Royal Shakespeare Company/ Barbican) will play Don Letts. Maria Omakinwa (Show Boat, Sheffield Crucible/ West End; The Bodyguard, West End) will play Judy Mowatt. Shyko Amos returns to Birmingham Repertory Theatre (where she last performed in This Island) to play Marcia Griffiths. The ensemble will include Taofique Folarin, Martina Isibor, Melissa James, Lemuel Knights, Tanisha Spring, Ellena Vincent and Marcquelle Ward. Bob Marley's words and music have brought joy and love to people around the world of all generations and across all cultures. One Love: The Bob Marley Musical is a spiritual and political journey which celebrates one of the world's most influential artists of all time by bringing Marley's inspirational music catalogue to the stage for the first time. 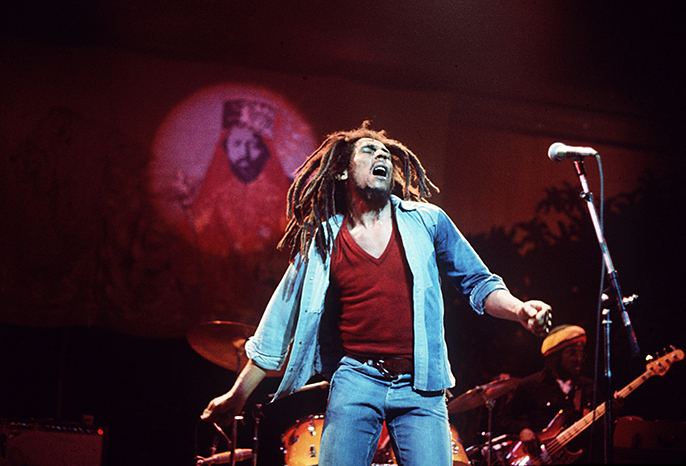 This compelling original musical features Marley's greatest songs performed live on stage, including – No Woman No Cry, Exodus, Jamming and many more. One Love: The Bob Marley Musical will be designed by Ultz (who won the Best Set Design Olivier Award for Jerusalem) with musical supervision and arrangements by Phil Bateman and choreography by Coral Messam (read interview). Lighting design will be by Tim Lutkin (who won the Best Lighting Design Olivier Award for Chimerica), sound by Richard Brooker, projections by Duncan McLean, orchestrations by Simon Hale and musical direction by Sean Green.